CRYSC participates in the grocery rebate programs offered by King Soopers and Safeway. Grocery cards are sold and loaded with $5 for each. A 5% rebate is earned every time the card is reloaded; 4% of every card is credited to the player’s team account balance and 1% goes to the club to cover administration. King Soopers cards can be purchased at each regional office with cash or check only (no credit/debit cards will be accepted). Safeway cards must be ordered through the club’s contracted rebate coordinator. For Safeway cards, email cryscrebates@rapidsyouthsoccer.org with your team name, players name(s), and # of cards wanted. Approximately once a month, rebate checks will be received from King Soopers/Scrips/Safeway. Player accounts will be credited with the amount of rebate earned. Rebates can also be earned through the Scrip fundraising program, which allows families to purchase gift cards (physical or e-cards) at a variety of retailers. For a list of participating retailers, visit www.shopwithscrip.com. To set up your Scrip fundraising account, please email cryscrebates@rapidsyouthsoccer.org. Families will need an access code specific to our club in order to receive rebates. If registration fees are paid in full, Treasurers will receive a check from the club with a statement showing how much money should be allocated to a player account. These funds should stay in the team account to help offset team expenses. Make sure that rebate checks are deposited as soon as possible, as checks expire after 90 days. CRYSC offers members the opportunity to work at one of two bingo halls to help offset team related soccer expenses. CRYSC is allowed to conduct bingo sessions due to our non-profit status with the IRS and operates under four separate licenses. Any money earned from bingo can only be used for expenses in the support of the nonprofit. Bingo workers should NOT rely on fundraising money being available prior to payment due dates. It is up to each family to pay the required team and registration fees on time. CRYSC hosts multiple bingo sessions throughout the week. Details regarding the location of the Bingo halls, session times and details on who to contact to sign up are located on our website. Bingo checks are sent to team treasurers on the 15th of each month (or the following Monday) from the CRYSC Central office. The checks represent amounts earned for bingo session worked in the previous month. All funds raised through bingo should be kept in the team account and used to pay for or to reimburse families for, allowable soccer expenses as listed below. Bingo takes place at Barry’s Bingo and Turn Bingo listed on the map below. 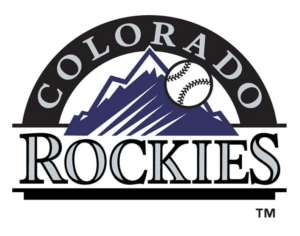 The Colorado Rockies will provide opportunities to CRYSC members to offset team costs. During the fall baseball season, members over the age of 16 will be permitted to work in retail and 18 year-olds will be able to work for concessions. Opening day is Friday, April 5th with training available prior to the season for preparation of volunteers. Workers will receive $70 per person per game with $14 meal vouchers that can be used for concessions. Most volunteers will be utilized in the Pro-Shop with others being utilized by the concessions team. Positions include cashiers, greeters, line-control, and floor associates. Staff is able to create a schedule to accommodate individuals who want to work together. Funds raised through club fundraising programs are credited at the team level on a tax free basis. This includes fundraising related to Bingo, King Soopers/Grocery Rebates, Scrips and team fundraisers. Therefore, money cannot be paid directly to families. All money must run through the team bank accounts. Money earned from club fundraising can be used for the following items. CRYSC Team Fees – e.g., indoor space, referees, etc. *Parent travel is only reimbursable if the parent is serving as the Team Chaperone. When possible, the team treasurer should allocate money directly from a player account to cover allowable expenses. However, families are allowed to provide original receipts to treasurers and ask for reimbursement of CRYSC related soccer expenses listed above. Treasurers should keep these receipts as part of the team files. CRYSC reserves the right to audit these receipts upon request. It is also important to note that if a player leaves the club for any reason, money raised through team fundraising that remains in the player’s account, and is not reimbursed based on the criteria above, will stay with the club.